New Jersey Security Alarm Company Insurance. Security is important in the times we live in and protecting loved ones and property is a priority. It's for this reason, alarm companies exist. 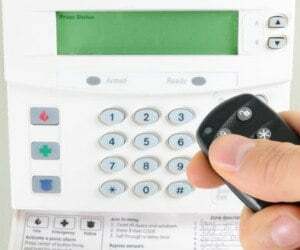 The job of a security company consists of installing, repairing and monitoring security alarm systems. Some of these systems include fire and burglar alarm systems. Operating a business of this nature presents lots of risks. With the level of risk involved, it's necessary to have New Jersey security alarm company insurance. Having the right insurance comes down to knowing what you need to protect. In this article, we're going to take a look at the different commercial insurance policies and how you can find the best ones for your business. New Jersey security alarm company insurance protects your installation and monitoring business from lawsuits with rates as low as $107/mo. Get a fast quote and your certificate of insurance now. These are just some of the risks you must protect your security company from. Insurance is necessary, but it's harder to get for this type of business. If you work with an experienced insurance agent you can work together to find the right New Jersey security alarm company insurance for your business. The most important insurance you can have for your NJ alarm company is liability insurance. As an alarm company, many businesses are relying on you to protect their business property from break-ins, fires and anything that puts their business in danger. As an alarm company, you are responsible for responding to alarms and alerting authorities if something goes wrong. Usually, when installing or selling a security system, you might spend time on the property of your client which can bring about different risks. NJ Commercial Auto Insurance - If there are vehicles you use to operate your business, then you must have insurance for those vehicles. You can never predict what can happen on the road and this is why you need NJ auto liability insurance to keep you covered. If an employee gets in an accident and causes bodily damage to a third party or damages their property, this insurance helps with some of the costs. If employees use their vehicles to do work for the business, then you can get non-owned auto liability insurance. Workers Compensation - If you have employees most states mandate workers comp. NJ workers compensation coverage helps with any costs associated with the injury of an employee on the job. If an employee is injured and taken to the hospital, their bills are covered with this type of coverage. 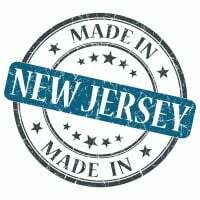 Request a free New Jersey security Alarm Company insurance quote in Asbury Park, Atlantic, Bayonne, Beachwood, Bellmawr, Bergenfield, Bound Brook, Bridgeton, Camden, Carteret, Cliffside Park, Clifton, Collingswood, Dover, Dumont, East Orange, Eatontown, Edgewater, Elizabeth, Elmwood Park, Englewood, Fair Lawn, Fairview, Florham Park, Fort Lee, Franklin Lakes, Freehold, Garfield, Glassboro, Glen Rock, Gloucester, Guttenberg, Hackensack, Haddonfield, Hammonton, Harrison, Hasbrouck Heights, Hawthorne, Highland Park, Hillsdale, Hoboken, Hopatcong, Jersey, Keansburg, Kearny, Kinnelon, Lincoln Park, Linden, Lindenwold, Little Ferry, Lodi, Long Branch, Madison, Manville, Metuchen, Middlesex, Millville, Morristown, New Brunswick, New Milford, New Providence, Newark, North Arlington, North Plainfield, Oakland, Ocean, Palisades Park, Paramus, Passaic, Paterson, Perth Amboy, Phillipsburg, Pine Hill, Plainfield, Pleasantville, Point Pleasant, Pompton Lakes, Princeton, Rahway, Ramsey, Red Bank, Ridgefield Park, Ridgefield, Ridgewood, Ringwood, River Edge, Roselle Park, Roselle, Rutherford, Sayreville, Secaucus, Somers Point, Somerville, South Plainfield, South River, Summit, Tenafly, Tinton Falls, Totowa, Trenton, Union, Ventnor, Vineland, Wallington, Wanaque, West New York, Westfield, Westwood, Woodbury, Woodland Park and all other cities in NJ - The Garden State.